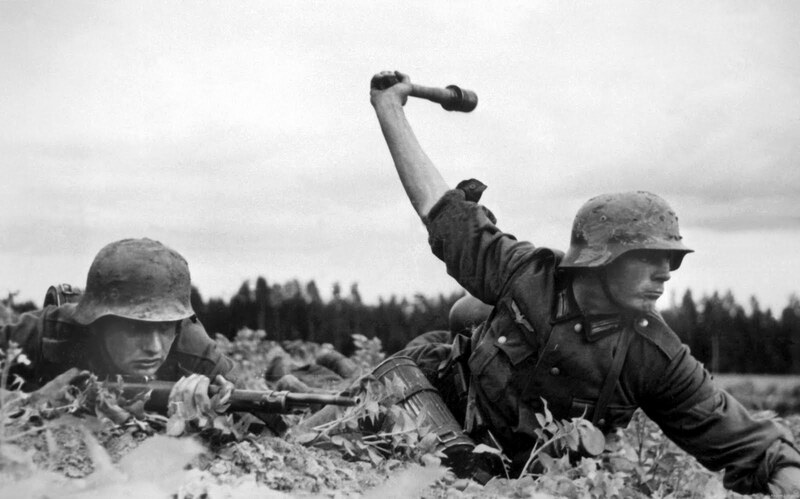 As World War II progressed, millions of civilians were killed. Not only Jews and other human beings considered subhuman by the Holocaust, but people were being killed by the Allies too. For instance, the bombing of Berlin. England in the beginning of the Battle of Britain was overwhelmed by the German Luftwaffe, who were bombing British factories, railways and other military targets with tremendous effectiveness in preparation for an actual land invasion. Churchill ordered the indiscriminate bombing of the German city of Berlin. Hitler then retaliated by bombing British civilians, especially in London. Later on, as the war had already been about won, a bunch of refugees as well as the wives and children of German officers were all gathered in Dresden, a great cultural center. 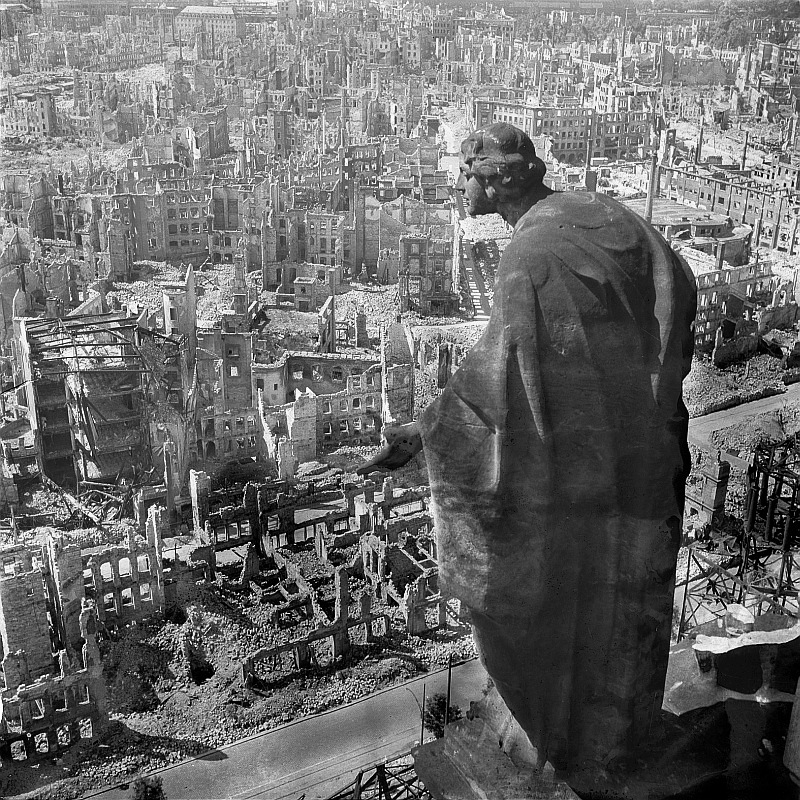 The Allies decided to bomb this city, and they dropped hundreds of incendiary bombs to create a fire storm, which destroyed most of the city, and killed at least 25,000 of the citizens of Dresden, and unknown numbers of refugees. The Allies eventually by the end of the war had by far the better air force, and they resorted to terror bombing, or the bombing of innocent civilians in order to intimidate them into pressuring their governments to end the war. Even though it did not have this effect, the bombings were continued until the end of the war. This bombing of insignificant targets resulting of tens of thousands being killed for absolutely no reason. Even more notorious was the destruction of two Japanese cities, Hiroshima and Nagasaki. As far as the Allies were concerned, Japan was no longer a threat, and the entire might of the American war machine was aimed at it. Its Emperor was already considering surrender, and even if there had been an invasion, the starving and weaponless Japanese would of been easily crushed without much resistance. Regardless, negotiations were denied until the completion of the first atomic bomb were complete, and then, on August 6, 1945, the first bomb dropped on Hiroshima. Both bombs killed at least 130,000 Japanese women and children in total. Not to say that the Allies are any worse than the Axis. The Nazis carried out systematic extermination of various groups, especially Jews and the middle class, as did the Soviet Union. The Japanese carried out horrendous acts in China against the civilian population there. So, overall, World War II, more so than World War I, birthed the idea that civilians are also targets; they are held responsible in the same way as their leaders for the war, and are killed along with whoever else stands in the way of the State. Though inexcusable, this is regarded as somewhat OK. Today, entire weddings of people are killed to get one suspected terrorist, 12 of whom are supposed to have taken down all of NATO and, without any flight experience, hijack planes and kill 3,000 people and destroy entire buildings full of records of illegal activity. It sounds more like the State doesn’t care a bit about human life so long as they get what they want. So, was one side any worse than the other? Not at all. Both Roosevelt and Hitler believed that they were superior to other races, and viewed human life as cheap. They threw bodies at each other until the one who could build better weaponry and had more bodies could destroy the most land and kill the most people. And that people, is war.